With Alice Cooper as their very special guest, the full line-up has now been finalised with the addition of SAINT ASONIA appearing on all tour dates except Manchester, Birmingham and Newcastle which will have UK band The One Hundred opening. SAINT ASONIA is a Canadian-American rock band consisting of ex-3 Days Grace singer Adam Gontier, Staind guitarist and writer, Mike Muskok with Corey Lowery (bass), and Rich Beddoe (drums). Their self-titled debut album charted at #2 on the Billboard Rock Chart and is due to be released in Europe via Century Media/Sony on October 23rd (pre-order available at Apple iTunes here: http://smarturl.it/SaintAsoniaEU). 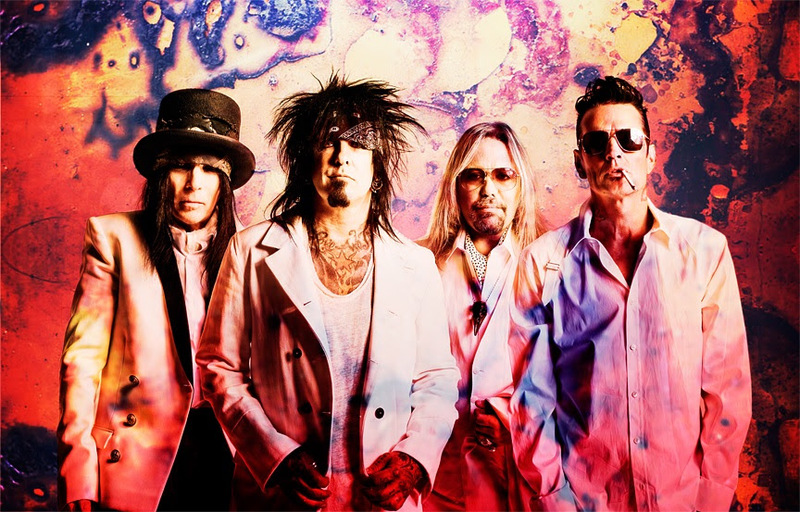 The November tour dates will be the ultimate farewell to the European continent as Mötley Crüe bring their biggest production and pyro show to date, including Nikki Sixx’s flame throwing bass and Tommy Lee’s “Crüecifly” drum roller coaster, as well as the “Crüesnest” where fans can sit with the band up close and personal during the grand finale of the show.